Who qualifys for Dental Implants? The upper set of teeth is replaced with implants. Implants are used to replace the front teeth (also called incisors and cuspids). 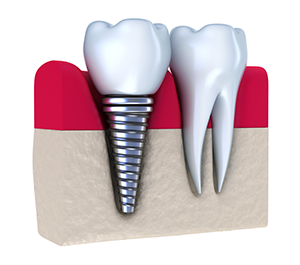 Implants are used to replace the bicuspids and molars (the back teeth). For more information on Dental Implants in the Alpharetta, GA area call Bloor Family Dentistry at (770) 663-4435 today!